This has probably occurred to hundreds of wargamers in the past, but it just occurred to me now so I’m going to claim this as my own brilliant idea. 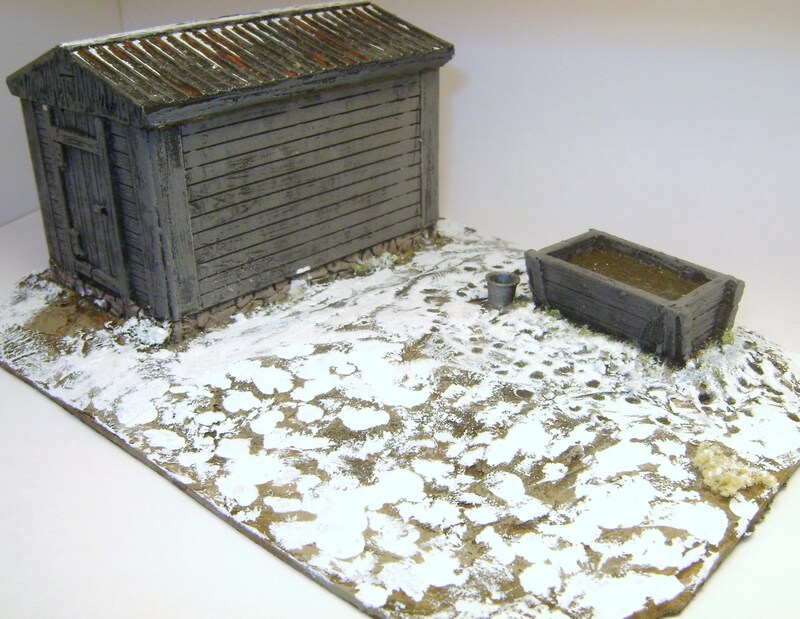 Did you ever buy a small building, such as a tent, outhouse or storage shack, and then realize it is too tiny to be a useful terrain feature for your figures? Even though it’s the right scale, it’s just too small to place your troops inside it. You could put it down on the table for aesthetic appeal alone, but that just seems a waste, doesn’t it? You want your terrain features to be more than just a pretty but useless piece of clutter on the table, don’t you? 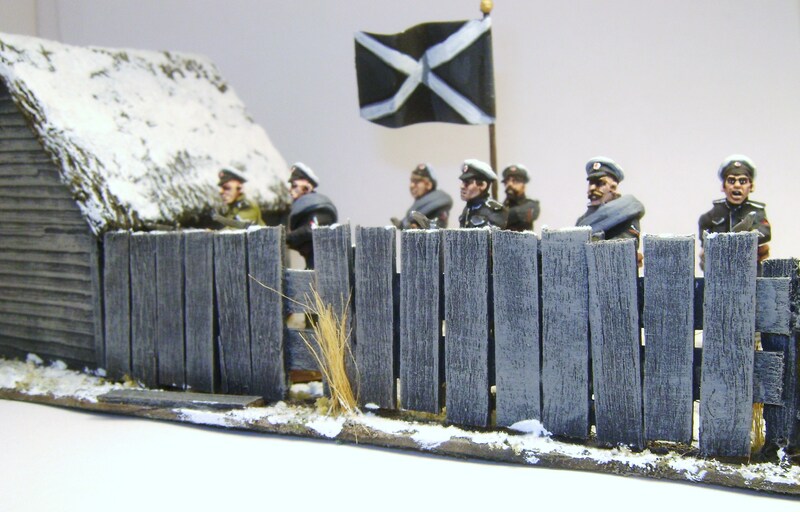 You want terrain features to have an impact on the course of the battle. 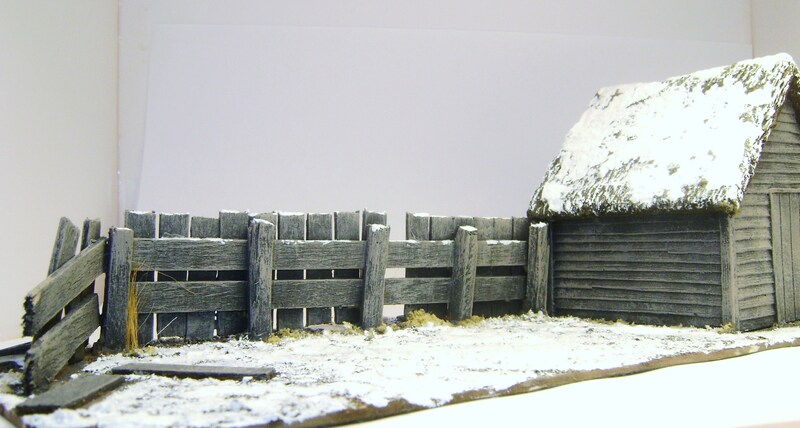 One thing you can do is to make that tiny building a part of a larger terrain piece, rather than being a feature all by itself. I did this by taking several smallish buildings and attaching them to a larger base and adding a few additional terrain features to it. 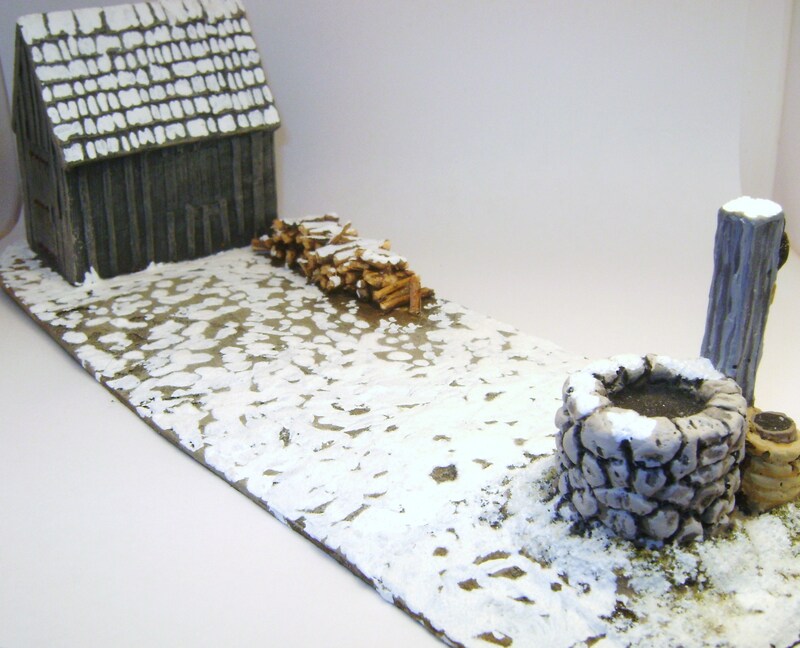 The end result, in game terms, is a building that your troops can use for cover. When they occupy the base itself, they are considered to be *in* building terrain. This really works best with rules that treat buildings as somewhat abstract concepts, rather than rules that are more explicit as to the exact layout of the building. In my case, I wanted to make terrain pieces to use with Red Actions rules. In those rules, it doesn’t matter what a building looks like, it’s just a generic *building* that can hold up to 4 stands. So, I cut several pieces of matteboard big enough to hold 4 stands worth of infantry. I then attached the buildings, some other small terrain features, and some groundwork. Suddenly, all those pretty but useless little pieces of terrain (the shacks, the well, the water trough) all come together to make coherent, practical objects.